The real name of blog is weblog. We use blog as a abbreviated name of weblog. So blog is use for publish and share the ideas, opinions and thoughts on the web. Blogging is a way to make a blog and it is very interesting and amazing nowadays. To Make a New Blog you can choose some free(blogger blog) or some paid hosting. Creating new blog is very easy task but managing and maintain a blog may be a wonder for you because this is not an easy task. Do not worry its hard but not impossible. I have some given bellow tips for you to make your blog worthwhile. You just need to find the answers of five questions given bellow. Decide if you want to focus on company branding, or perhaps differentiating your services by writing about your specific expertise or perhaps carrying out market research. 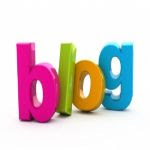 Read other blogs and sites to gain some useful knowledge and to avoid future problems. The best types of business blogs are specific in nature. Determine who you are writing for, then you should be able to write things that are going to interest them. Write about topics that interest you. They might be unpopular in the beginning but if you know what you are writing you will grab the attention of the reader and provide endless fresh ideas too. Competition in blogging is tough so be prepared that if your topic does not intrigue the reader, he will move away from it. You can keep your blog open to any Internet visitor or you can just keep it open for your friends and family to be able to read it. Most blog sites offer the service of password-protect so that your published posts are open to only those who you approve of. Where to run your blog? Decide whether you want to have run your blog on your own website or run it from a separate domain. If it complements and is related to what you have on your website then integrate it with your website. On the other hand, if you want to take a different stance in your blog which does not coincide with your main website, then you can use a different domain. Blogging requires time. You will keep on writing posts but even maintain the quality of what you produce as well. Plan how much time you are willing to dedicate to your blog and how much you can easily afford to give. What is your target? What do you want the return on investment to be? Measure the results and decide on the criteria and target you wish to achieve.